Last weekend I traveled to New York City to attend to a fashion event hosted by Lucas Branding in which @CarmenDiazJewelry was part of. This gathering was so much fun, I was among talented jewelry designers and I discovered so many unique pieces made by hand. I stayed at luxurious Hotel Elysee in Midtown Manhattan. This hotel was so lovely, full of charm and romanticism. I loved the decor in my room, so well accentuated in a french country style. Every evening after sightseeing the city, I enjoyed at the hotel Elysee's Club Room, a complimentary reception including imported and domestic cheeses, hors d' oeuvres, fine wines and Prosecco, etc. Also, I was delighted by sweet cookies and fruits too. I loved the delicate mood created by the perfect low lighting in the hotel's corridor. 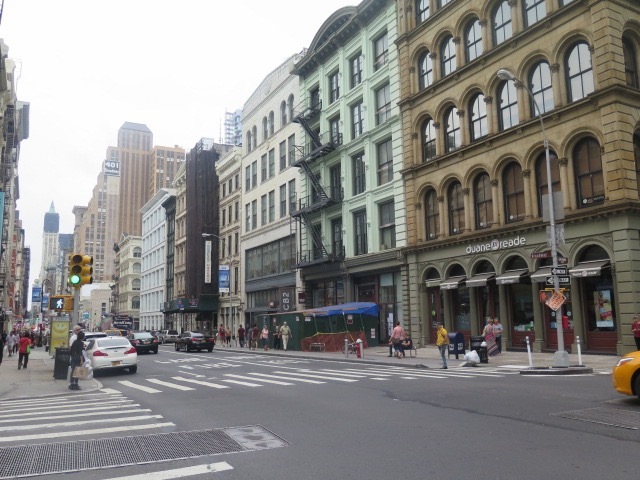 I explored the grandiose streets of New York and visited Central Park, Little Italy, SoHo, Hudson River, The Brooklyn Bridge, SoHo, Times Square and The Empire State Building. Central Park was relaxing, yet adventurous. I explored it in a bike ride for an hour.